Starring Sissy Spacek, Sam Shepard and Kyle Chandler the series arrives amid heightened competition in streaming TV, with Amazon, Yahoo and others making little secret of their determination to win market share from Netflix and HBO, the network behind Game of Thrones, planning a web-only service this year. And, while there's no lack of hype around Bloodline, it is perhaps fair to say it does not offer the instant allure of House of Cards or Orange Is The New Black. Both those Netflix hits came with an easily digestible premise – Kevin Spacey is an evil politician, suburban woman goes to jail, embarks on voyage of self-discovery (with bonus girl-on-girl snogging). Bloodline, in contrast, is rather murkier – a compelling show, without question, but requiring more upfront investment from the viewer. With that in mind here is a countdown of essential Bloodline facts to get you started. 1: It Has A Cast To Die For. Sissy Spacek and Sam Shepard as old money proprietors of a Florida hotel sounds like the set-up for an Oscar-garlanded seventies movie you have yet to get around to seeing. It is a testament to Netflix's rising cachet that it is able to attract performers of such calibre. 2: It's From The People Who Brought You Damages. In addition to resurrecting the career of Glenn Close, Showtime's Damages was a fascinating experiment in just how much nasty 'mainstream' TV could pack into each episode – with darkly fascinating results. This was compelling television that made you crave a cold shower. 3: Netflix Has HIGH Hopes For It. While House of Cards and, to an arguably lesser extent, Orange Is The New Black, have commandeered the zeitgeist, not every Netflix property is a guaranteed smash. Who, for instance, would miss perpetually misfiring Steve Van Zandt vehicle Lilyhammer? (Answer: Steve Van Zandt). But in Bloodline Netflix clearly believes it has another straight-up hit. It has sent its cast out to bat for the show and has been relentlessly plugging it in the build-up to its arrival this morning. 4: It's A Family Saga But Not Like Dallas Or Dynasty. The sprawling family epic fell from fashion at the end of the 80s, circa the revelation that Bobby Ewing's death was merely a dream and the abduction by aliens of the cast of Dynasty spin-off The Colbys (note to younger readers – this actually happened.). Lately, in fact, family drama has been played for humour: see The Royal Family, Shameless, Mrs B****s Boys. Can the self-serious Bloodline make us care once again about families and their dark secrets? 5: It's Made For Binge Watching. Show-runner Todd Kessler says that, because of Netflix's 'binge-watch' model, Bloodline does not have to hew to the creaky TV convention of each episode ending on a cliff hanger. Even the concept of 'episodes' is a little old hat, he revealed. This is a 13-hour saga, divided into hourly segments yet cohesive and coherent throughout, so that viewers can hopscotch seamlessly from one installment to the next. 6: It's All About Location. There is a fad in American television for location to serve as a sort of unofficial extra character. Rural Louisiana loomed baroquely in True Detective, for instance and the New Mexico desert imbued Breaking Bad with a whiff of the Apocalypse. In Bloodline, the fetid South Florida Keys, a twilight zone bordering the tropics where people go to escape their safe, suburban lives, conjures a sweltering, slightly manic atmosphere. Without it, Bloodline would be very different. 7: There Are A Lot Of Flashbacks. Bloodline is about the secrets family members keep from one other and those they share. So there's a great deal of temporal hopping about, with leaps to an awful event of several years previously and premonitions of a disaster chugging down the tracks. It's confusing at times, sure, but endlessly absorbing with it. 8: It Takes A While To Get Going. House of Cards opened with Frank Underwood snapping a dog's neck. In Orange Is The New Black we were introduced to the two chief protagonists as they groped in the shower. 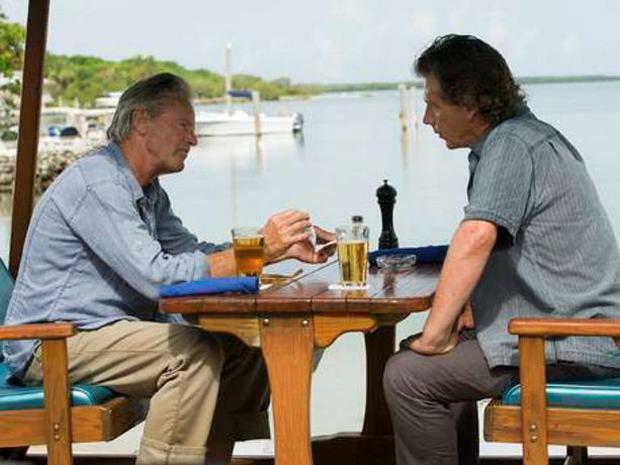 Bloodline, in contrast, is initially short on wham-bam moments. It isn't until episode three that things properly come together. When they do, you'll be glad you persevered. 9: You'll Probably Recognise The Main Star Even If You Don't Know His Name. That large-headed actor with the pronounced Southern twang? Yes you've seen him before – he was Coach Taylor in Friday Night Lights, Leonardo DiCaprio's nemesis in Wolf Of Wall Street and Ben Affleck's FBI boss in Argo (bonus fanboy points if you remember him as the vain matinee idol from Peter Jackson's King Kong). His name is Kyle Chandler and Bloodline may well be the role of his career. All 13 episodes of Bloodline season one are available to watch on Netflix now.